Regal Service is proud to have 26 drivers accomplish the milestone of reaching a Million Miles in their career. 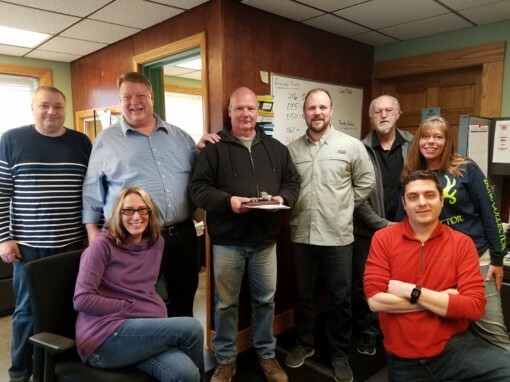 Congratulations and thank you to: 4 Million Miles Lynn Bloomfield 3 Million Miles Micky Reagan 2 Million Miles Scott Carlson, Mike Davis, Allen Matters, Ricky Rose, Shane Stenger,. . .
Regal Service is honored to have an amazing fleet of safe drivers. Our Hall of Fame includes drivers with one year of safe driving all the way up to 27 years of safe driving. 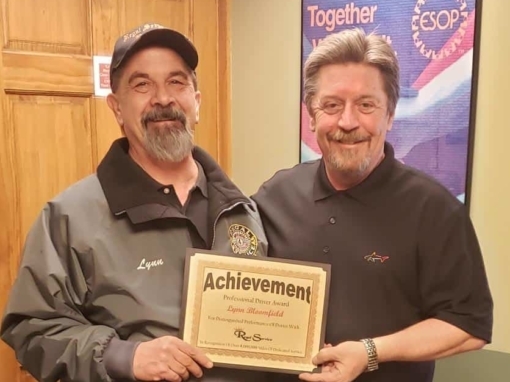 CONGRATULATIONS to Eric Barton on receiving the 2019 Regal Service Driving Force Award! Beginning his Regal career in August of 2000, our newest Driving Force Award honoree concentrated driving effort focused on local and regional support. He is and has been Regals “go to guy”. Based on “normal” weekly activity, Regal’s Safety Department calculated on an 18+ year basis, Eric moved approximately. . .